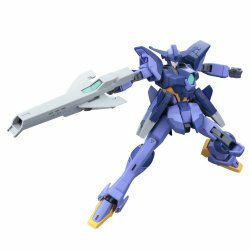 Impulse Gundam Arc decides to kit as a new aircraft appearing in "Gundam Build Divers"! * Specification of gimmick full load that can deform, separate, and unite. * A characteristic rifle is also included. * Energy tanks can be mounted on the back and mounted on rifles.